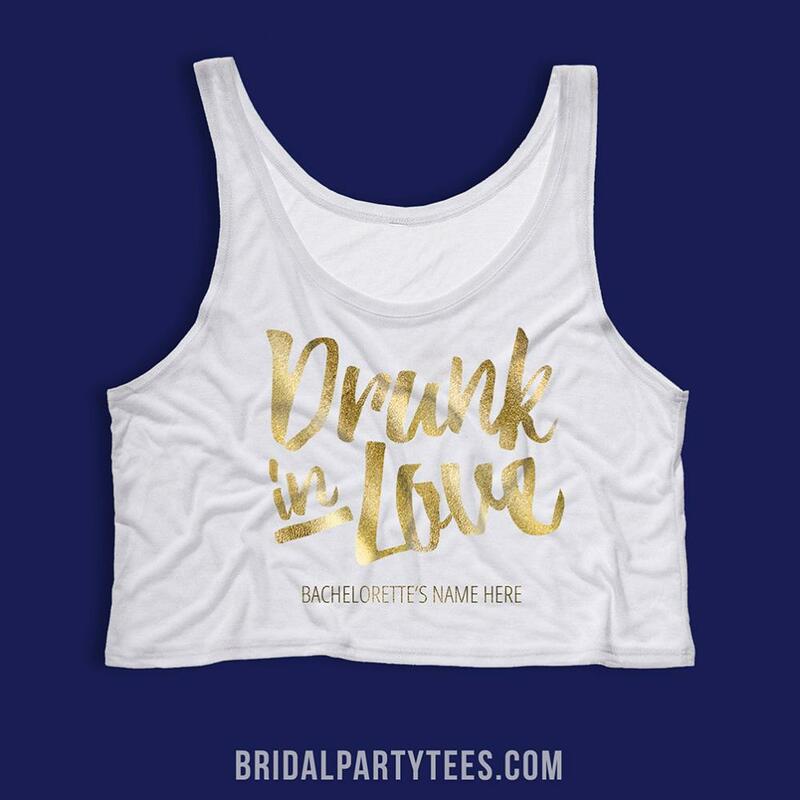 If you're the bride-to-be then you are most likely drunk in love... especially if you are celebrating with your all of your friends at your bachelorette party. Show everybody else how drunk in love you are by wearing this shirt out on the town. Cheers!